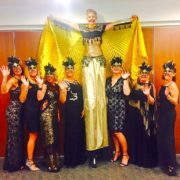 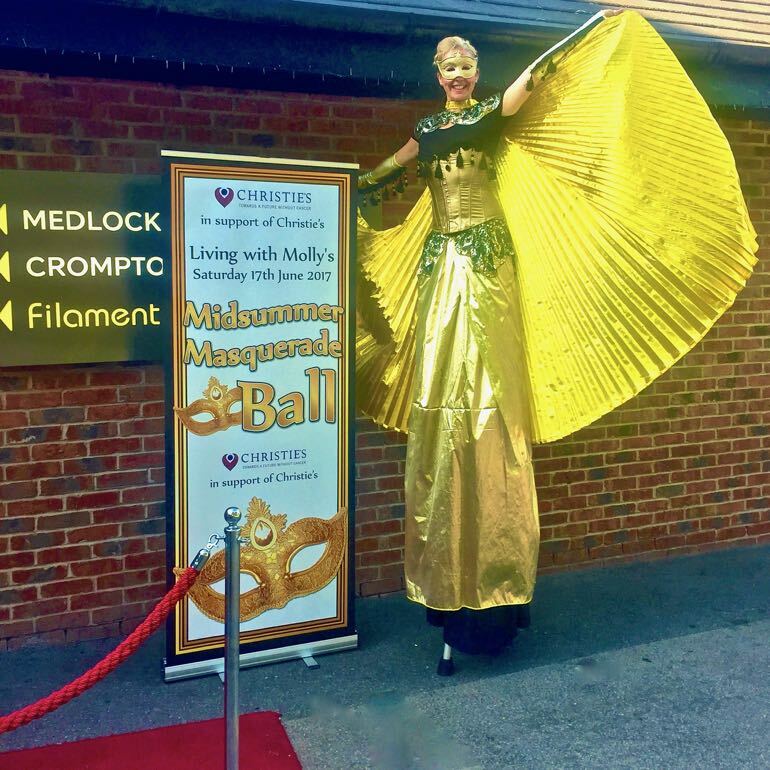 Our Golden Stilt Walking Performers will instantly deliver that extra special feeling to your event. 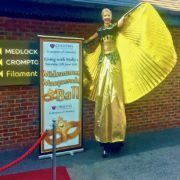 Our talented Stilt Walking performers will pose for your guests whilst towering above them giving each guest something to remember. All Brilliant Birthdays Stilt Walkers hold full Public Liability Insurance and are experienced seasoned professionals! 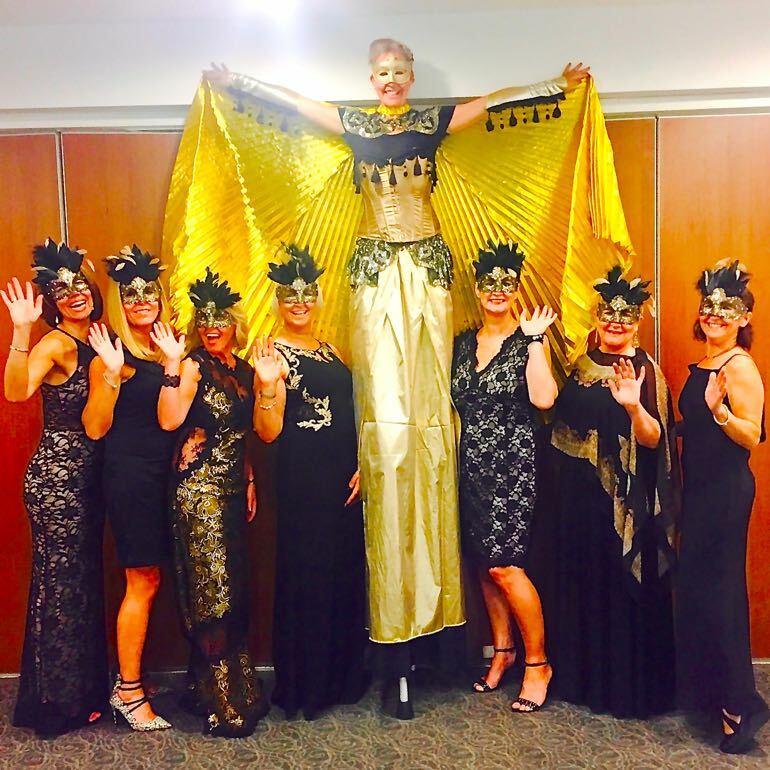 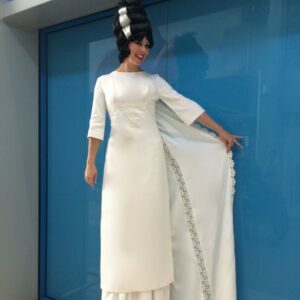 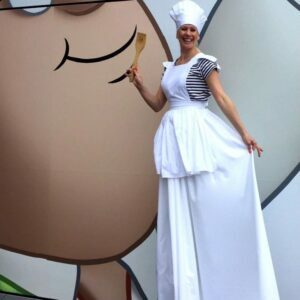 Stilt Walkers are a delightful walk-about addition to any event. 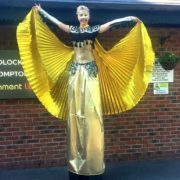 Perfect for corporate events, school events, Community parties, Balls, Private Parties etc etc. 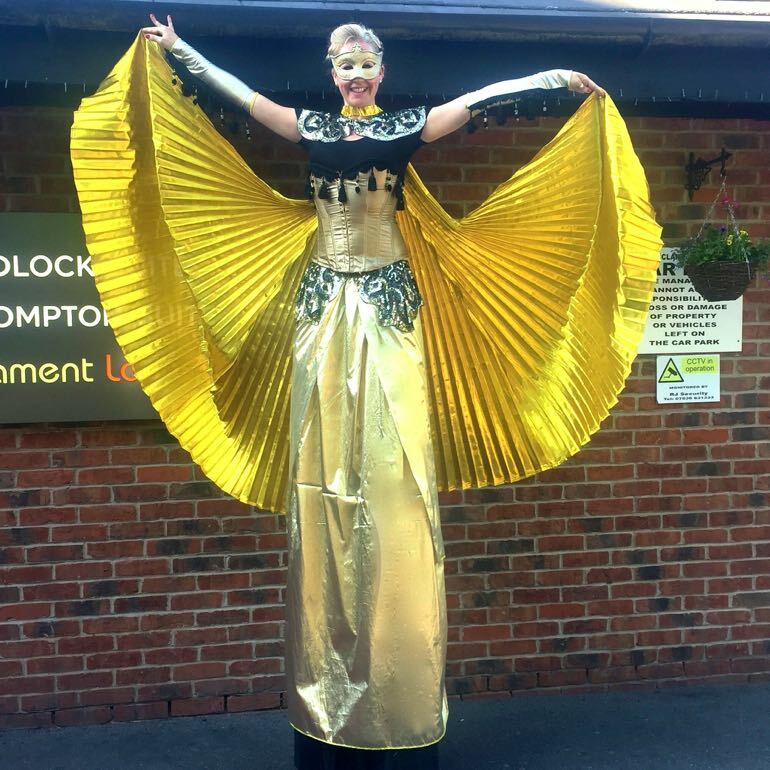 Without doubt, stilt walkers are one of the most versatile acts to choose from at Brilliant Birthdays. 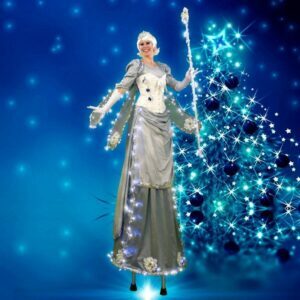 They’re eye-catching and highly interactive. 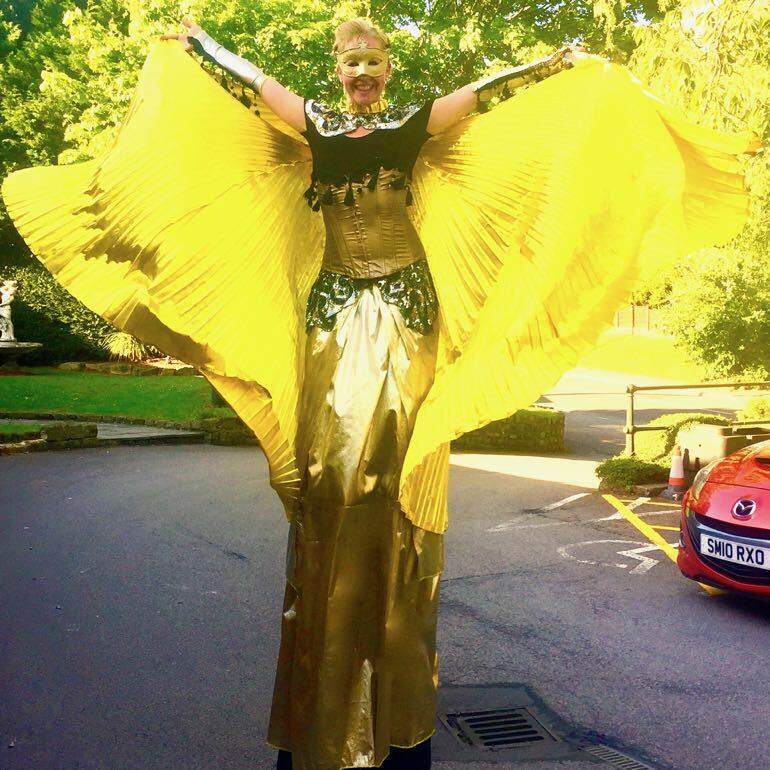 Please note prices are per Stilt Walker, Brilliant Birthdays have 2 x Golden Glamour Stilt Walkers Available for hire!